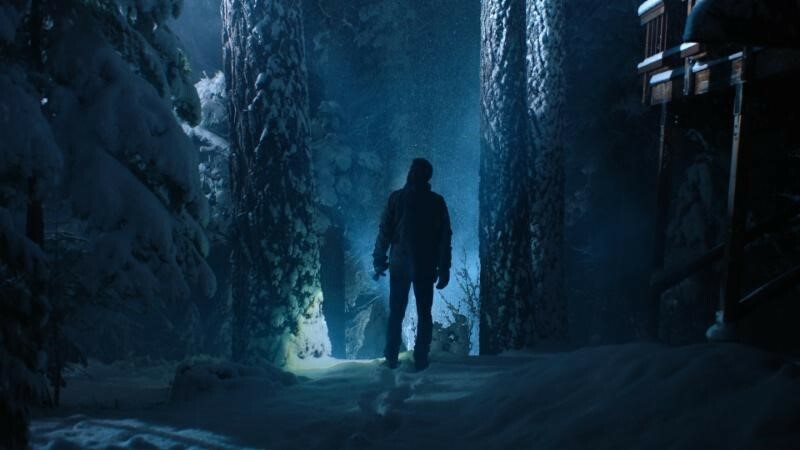 Let’s just get this out of the way: originally titled Applecart and receiving mostly negative reviews at the 2017 Fantastic Fest, the film was retooled and is now available as Dead Night. Brad Baruh’s feature directorial debut, this slasher/supernatural thriller/true-crime-tv-send up features genre all-stars AJ Bowen, Brea Grant and Barbara Crampton. Over one snowy night, our characters end up together in a secluded cabin surrounded by woods that house a malevolent presence. Essentially, all of the ingredients for a suspenseful, creepy and gory good time. But did everything come together successfully with fresh editing and a new title? Kind of. The creatures who live in the woods start out legitimately scary, but then they remove their masks and talk too much about their purpose and their rock that looks like it came from an episode of Buck Rogers and the only thing left that is scary is wondering how much longer this will go on. And back to the Lake Tahoe location: the film takes place in Oregon, but was clearly filmed in Lake Tahoe. With truly beautiful shots of the mountains and lake, why would you arbitrarily say this is all happening in Oregon? Why? Perhaps I missed the reason while being bombarded with so many different timelines. Ultimately, Dead Night feels like Baruh may have bitten off more than he can chew for his first feature. Viewed as a midnight splatter film, it’s a fun exercise in horror camp with some exceptional makeup and effects. Viewed as a serious horror film, it’s found lacking. Come for the performances, stay for the makeup and if you can stomach it, hang around for the stinger. 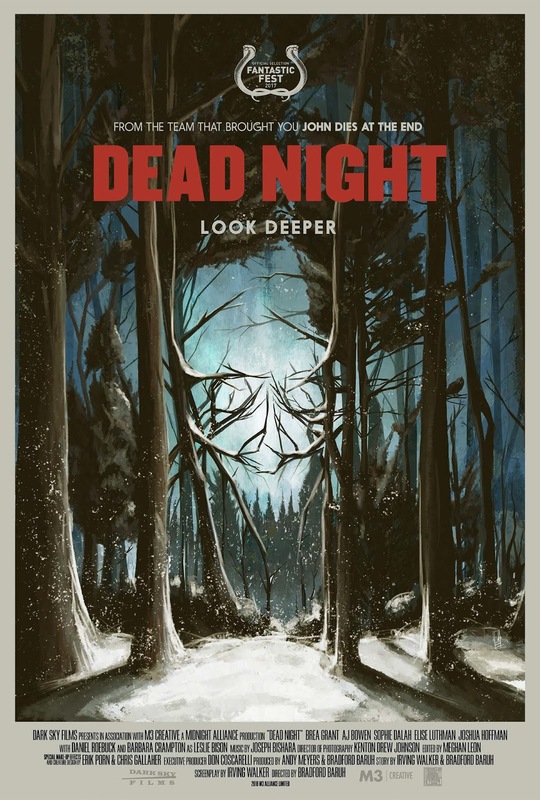 Dead Night is in theaters and on VOD (USA) July 27.